It can drive a boy mom crazy. With a passel of boys in the house, the potential for a good breakout of sibling rivalry is always there. Especially in the long days of summer. Looking for some practical hints to help you deal with sibling rivalry? 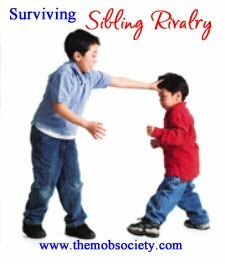 Come on over and the MOB Society for more on dealing with sibling rivalry!